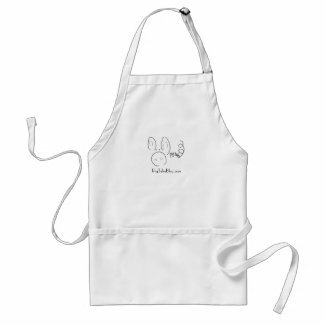 In honor of Bastille Day, I was going to make French toast for breakfast. But we didn’t have any syrup. So I just ate leftovers of last night’s pesto pasta and Italian sausage. I’m feeling a little guilty about that so I decided to share what can only be determined as the Frenchiest Food in the World: Escargot. 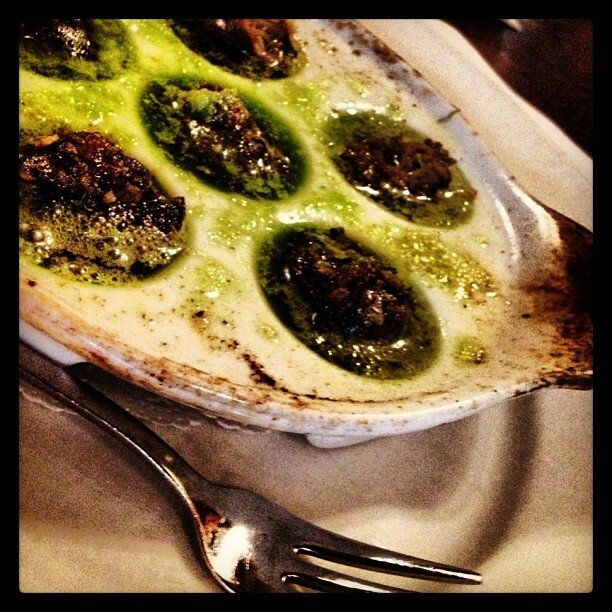 Escargot is actually really easy to make. All you need to do is rinse the snails, pat them dry with a paper towel, stuff them into a shell, smother them in a garlicky butter mixture and then bake in the oven. I like this recipe from Epicurious. 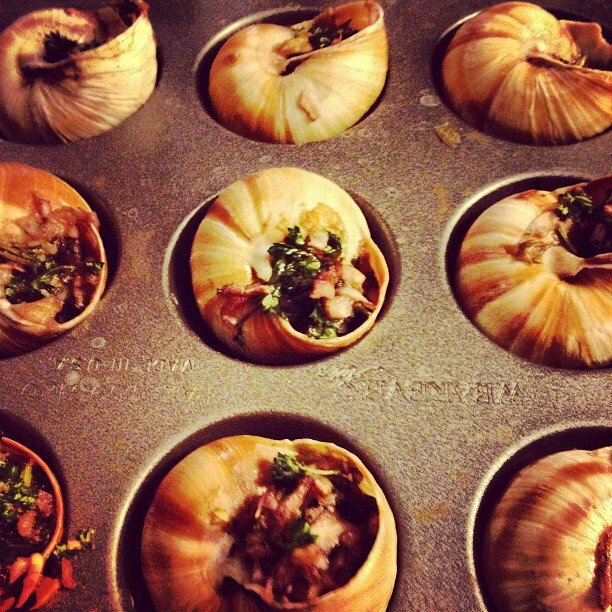 If you are fancy, you can bake them in escargot plates. Apparently, I must not be fancy because Brad Pitt didn’t give me any plates. * Just the snails & shells. So, I improvised and baked the little buggers in mini muffin tins. It worked perfectly. On that note, I wish you a Happy Bastille Day! ** Just kidding. Keep your friends. This entry was posted in Make it Yourself and tagged bastille day, escargot, food, French, Les Halles, photography, recipe, snails. Bookmark the permalink.